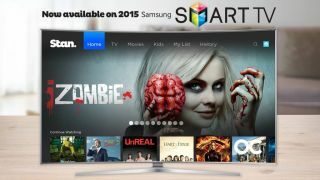 Though it only just arrived on PS3 and PS4 consoles a couple of weeks ago, the Aussie streaming service Stan is not about to rest on its laurels, announcing overnight that its app is now available on all 2015 model Samsung Smart TVs. Didn’t buy your Samsung Smart TV this year? Don’t worry, because Stan also announced that support for 2012-2014 models is coming early November. Don’t own a Samsung TV at all? Well, you’ll be happy to hear that Stan is also adding support for a range of Samsung Blu-ray players next month, too. A complete list of Stan-compatible Samsung Smart TVs and Blu-ray players (and there are quite a few of each) can be found on Stan’s website. And, though it has yet to specify compatible devices, Stan has also announced that we can expect to see its app on LG Smart TVs this November.